We aim to position ourselves as the world leader in power supplies for magnetrons used in industrial microwave and plasma applications. Our customers are based all around the world and come from a variety of industrial segments. Based on our thorough expertise in microwave and magnetron technology, we meet their demand for energy efficient power supplies. Dipolar is a part of the Garga Group, which also includes sister company Gluetec, which develops strain gauges for high precision measurements. The company is based in Skellefteå, Sweden. Dipolar is an AAA rated company. DIPOLAR. A PART OF GARGA GROUP. Garga Group invests in companies that possess unique skills in their industry. With a passion for the northern region in Sweden, we create opportunities for growth and innovation. If you grow up as I did in a small village forty kilometers from Skellefteå, it’s not self-evident to become interested in electronics and the programming of process control systems. What I had around me was forest and agriculture so it was no surprise I became interested in science subjects at school. Now I find wood-chopping at my farm relaxing. It gives me a chance to gather my thoughts and build up mental strength again. My interest in technology grew over time. And as more of a generalist than a specialist, I was good at both science subjects and languages. Now when I think back, I realize how lucky I have been – I have been able to devote my entire working life to the subjects I liked the most at school. After four years of technical studies at an upper secondary school, I worked as an ambulance driver for a few years before moving on to a technical college to study electronics and process technology. My first job after completing my studies was with the metals and mining company Boliden. There I had the opportunity of working with the programming of process control systems and marketing for ten years. During my last two years at Boliden, I worked with the marketing of technology for mines in Montreal, Canada. Because I have always enjoyed exploring new work cultures, I did not hesitate to take on that work. When I returned to Skellefteå, I began to work as Deputy CEO and site manager at an electronics engineering company. That was when I came in contact with switched-mode power supply and I realized the full potential of that technology. From 2000 to 2005, I was site manager at Gargnäs Elteknik but when the company changed its focus and was restructured, I decided to leave and instead investigate the niche of industrial microwaves. So in 2005, Dipolar was created. The company got off to a flying start. In no time, lorry manufacturer Volvo ordered a hundred power units for a steerable micro drying tunnel. Later, another lorry manufacturer, Scania, also became a major customer. Now, the technology is also widely used by customers who use microwave heating to cook food in pre-packed portions which can be sent straight out to refrigerated counters. We have customers in Asia, Europe, Scandinavia and South America. I am particularly happy that our products are used in so many different parts of the world. One of my driving forces has been to create jobs in my home area but it has also been very satisfying for me to sell our products all over the world and to meet with clients and learn more about their needs. Looking forward, another vision for me and the company is to gain even larger market shares in Asia. We have a promising collaboration with Toshiba who think our power units are the best on the global market. That is particularly gratifying to hear for a person like me from a small village in the north of Sweden. And yet our journey has only just begun! Previous experience: Co-founder of Dipolar with Anders Grundström. Walter has thourough education in engineering. 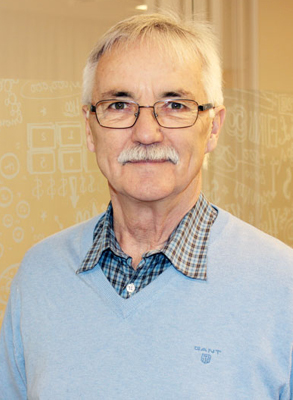 He has worked with process monitoring for Boliden, a mining and smelting company, and has experience as site manager for Celcius’ industrial electronics development operations in Skellefteå. Previous experience: Thomas as more than 20 years of managerial experience, from sectors such as property, building, communications and public relations. As a consultant, Thomas is certified in leadership management and has worked with over 850 different managers, owners and leaders. 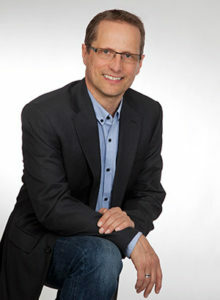 Previous experience: An entrepreneur at heart, Anders has managed his own companies since 1978. Anders is the co-owner in two separate businesses, Gluetec AB and Volantic AB. 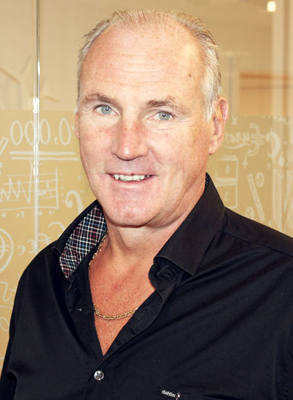 Previous experience: Stig is the co-owner of Stimor Invest, an investment company focused on companies in Northern Sweden with high potential for growth. 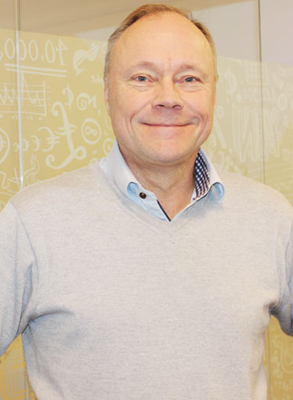 He also founded Eco Glocal, a logistics business that had a yearly turnover of SEK 300 million and 100 employees when it was sold to the next owner.